Most of us have come to rely on our mobile phones and the ability to stay connected to one another in this fast paced, technologically enhanced world. While traveling, a cell phone should make it easy to stay in touch with family and friends, to contact local attractions for information and make reservations. A smartphone with internet access is an even more valuable tool for the traveler in unfamiliar surroundings. While on the go, you want to easily find your way around town with Google maps, browse the web sites of places to visit, check weather reports, and look up information on the local scene. Unfortunately, as my wife and I have learned, once you leave your home country, using your mobile phone becomes an unbelievably difficult and expensive proposition. When Laurie and I were house sitting in Canada, only a couple of hours drive from our mobile phone provider in the U.S.,our cell phones were completely useless to us, unless we wanted to pay exorbitant roaming charges. Plus, if our friends and family were to call us, they would have to pay costly international phone rates (even from a land line). For folks used to paying one monthly charge and being able to use their mobile phone to call when and whom they please, not to mention texting and mobile Internet access, this is a frustrating situation. In the U.S., we had a family wireless plan from AT&T. Although AT&T constantly receives the lowest score of all the wireless providers from Consumer Reports, we had been generally satisfied with its coverage and prices. Once we crossed the border into Canada though, there is no AT&T coverage. We could pay for an international add-on plan, but that would cost as much as $250/month plus our regular plan cost- a very expensive option. The same problem seems to be true of the other major U.S. wireless providers- once you are out of the country, you are on your own. At first we were stymied because of the difficulty and expense of using our American based mobile phones in Canada. There were four issues that we wanted to solve in Canada and in the other countries we planned to travel to. We wanted to be able to make local calls with our mobile phones. We wanted to be able to call our friends and family in the United States from our cell phones without paying international long distance rates. We wanted our friends and family in the U.S. to be able to call us without the high costs of international rates. We wanted a data plan so that we could use social sites and browse the web from our cell phones even without access to WiFi. We were able to finally discover a solution that will work for us now and also as we continue our travels. First however, we needed unlocked phones. An unlocked phone is one that you purchase directly and is not tied to a particular wireless provider. They are quite expensive to buy. An unlocked iPhone 5 right now for example, costs more than $700. The advantage is that you can use them with any service provider that uses the same wireless system. Since we purchased our iPhones with a two year commitment with AT&T, the cost of our phones was subsidized by our wireless provider. That means that AT&T won’t unlock them until we have paid off the terms of our contracts. Since we were still months from that date, we had to pay a penalty to cancel our contract with AT&T and get our phones unlocked. Since we have been with AT&T for quite a while and paid our bills on time, they “sent unlock codes” before we had paid our final bill, which we appreciated. 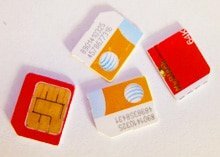 Once our phones are unlocked, we can go to a provider in a foreign country and purchase and install a new SIM card which will enable us to use our phones in that country and make calls in our local area as we used to do at home in the U.S. There are three kinds of mobile phone plans. Most folks in the United States are familiar with a subscription plan. With this plan, you sign a contract for 2-3 years and pay a monthly fee. Your carrier usually subsidizes the cost of the phone you choose and you pay a monthly charge based on your choice of the number of minutes and data included in your plan. The second type of plan is similar to the first except that you pay full price for the phone and pay a monthly contract to your provider. Both of the first two plans require a credit check because you are paying a special price based on a 2-3 year deal. Sometimes you can cancel the plan early without penalty, but not always. The third kind of cell phone plans is called a prepaid or pay-as-you-go plan. This is usually the most expensive plan because you are not committing to staying with the provider for an extended period of time. You will also pay full price for the phone. Since you pay in advance, a credit check is generally not required. Even though a prepaid plan was more expensive, we assumed that it was the only plan that we could qualify for once we were abroad. That was because we knew that we couldn’t pass a credit check since we couldn’t prove we had a permanent address, a bank account or a credit card in the country where we had landed. But when we walked into the Telus store in a huge mall near Toronto, Canada, we found ourselves in a somewhat surprising situation. The friendly clerks in the store went out of their way to qualify us for a month to month phone plan that had more minutes and data and was less expensive than a prepaid plan. It took them about 1-1/2 hours, speaking with their home office to get it done. They ended up using the Telus store address as our home address since we didn’t have proof of residence in Canada. When we left the Canadian store, we had two working iPhones and Canadian cell phone numbers and our only out-of-pocket expense was $10 for each of the two SIM cards. The one obstacle that they couldn’t solve was the fact that their system was unable to link to a U.S. credit card. So the only way we could pay our monthly phone bill ($50 for each phone for unlimited calling in Canada and 1 GB of data) was by bringing cash into a Telus branch. This wasn’t a problem for us because there were branches in just about every mall and shopping center near where we were staying. When we arrived in Australia, we decided to purchase SIM cards at the Telstra store (again, in a mall) because our research had indicated that they had the best coverage, especially in Western Australia. We again ran into the same situation. The store personnel spent considerable time and effort (as well as fudging some of our details) so that they could sell us a month-to-month plan, which again was cheaper than a prepaid plan. And again, we left the store without paying anything and with a plan that we paid on a monthly basis. As with the Canadian provider, we had to pay our monthly cell phone bill in person. Telstra however has a deal with the Australian Post Office which allows us to pay at any post office, including the one that is a few blocks from where we had been housesitting in Kendenup. By owning unlocked cell phones that used SIM cards, we had solved the problem of having a local number so that we could freely call phone numbers in-country and we had data plans so that could access the Internet on our smartphones. Next we needed a way to make cheap international calls and find a way for our friends and family to call us without paying exorbitant international rates. Skype is a popular web service that provides free calling (including video) from one computer to another using the Internet. Each computer simply needs to have Skype installed, an Internet connection and also have a speaker and microphone. For video calling, you also need a web cam. Fortunately, most modern laptops have these capabilities built in. Skype also provides it’s App free of charge to users of both iPhone and Android phones. As long as both caller and recipient have Skype apps installed, they can talk to one another for free no matter where in the world they live. However, we want to call our friends and family in the U.S., who may not have Skype, and still not pay exorbitant international rates. Skype has an answer to that too with a service called a Skype Subscription. By paying a monthly fee (currently $2.99) we can call any land line or cell phone in the United States or Canada using the Skype App and not pay any additional charges. And the recipient of the call only uses their usual cell phone minutes too, so there is no extra charge for them as well. This solved our issue of placing international calls to the U.S. We can call folks from our Skype App on our laptops or cell phones and talk for as long as we want without worrying about the costs. If we wanted to call other international locations regularly, we could get a Skype Subscription for there too. The last item on our communication check list was enabling our friends and family to call us when we were traveling abroad without paying international rates even if they don’t Skype. Once again, Skype provided the solution. With a “Skype Number”, we pay a yearly rate (currently US$30) get a special phone number (you even get to choose the area code). We chose area codes in California since that is where we were last living. Since our friends and family have unlimited long distance plans on their cell phones and land lines, it didn’t really matter which area code we picked. Our friends and family in the U.S. can reach us on our Skype Number and it comes through to us in the Skype App on both our computers and on our iPhones. If we can’t answer, there is even the capability of leaving a message. We receive emails from Skype when we have messages waiting and we can just check the Skype App for missed calls and messages. Our Skype phone number travels with us wherever we go. When we arrive at our next travel destination, Southeast Asia, we will purchase a SIM card and obtain a new local phone number and a data plan. Once installed in our iPhones, we will again have access to the Internet and our Skype App on our phone will let us place and answer calls while we roam about. When we are in the room where we are staying, the WiFi connection will make it even easier to stay in touch with family and friends. For the last few years we have been using Skype on our iPhones and laptops to receive and place calls. Most of our family members have Skype installed on their computers, and when we Skype each other from our laptops, the connection is excellent; even video works well. When we Skype using the App on our iPhones, the connection has also been very good, with an occasional dropped call. Calling land line phones and cell phones from the Skype App on our iPhones has been generally good as well. For the most part, the voice quality is very good. Sometimes there is a slight delay or echo and we have learned to refrain from interrupting the speaker. Receiving calls on our iPhones with the Skype App has not been so great. Often, we are unable to answer the call before it is disconnected. Perhaps the problem is due to our having older iPhones which may not be responsive enough. However, this is not a huge problem because we always know who is trying to phone us (since Skype includes Caller ID) and we simply call them right back. All in all, we are quite satisfied with the solutions we have discovered to keep in touch with our family and friends while traveling at a reasonable cost. A smartphone with a data plan makes a huge difference when trying to negotiate a foreign city. We found Google’s updated map service to be a lifesaver when using public transportation- it now shows bus stops and bus schedules in real time, at least in Australia. Folks with smartphone contracts that are almost paid off should seriously consider getting them unlocked and keeping them, rather than selling or donating them and immediately entering into a new contract to get a slightly fancier phone. An unlocked phone and a Skype account can go a long way to making foreign travel more convenient and more fun. With our unlocked iPhones, it was fairly easy to find the SIM cards we needed and to buy a prepaid phone plan with data in Indonesia. The largest provider, Telkomsel SIMpati, had good service, and compared to US cell phone charges was very inexpensive. I did have a bit of adventure getting to the cell phone store, but once there, it was easy to purchase our SIM cards and prepaid plans (I did have help with the language barrier from one of the maids where we were staying). We were in Bali for a month and never had to recharge the minutes on our phones. Besides the texts that I occasionally received in Indonesian (promotional only), we had no trouble using our phones to call each other and family and friends using the Skype App. Getting SIM cards and a phone plan in Thailand was easy. I walked into a modern mall in Chiang Mai and went to the first store that sold cell phones. Even though the clerk only spoke a little English, she was able to accommodate me. I simply showed her our two iPhones and pointed to one of the signs on the wall that was written partially in English and was obviously rates for plans. Once again, the price was extremely low even with data plans. The clerk installed the SIM cards for us. 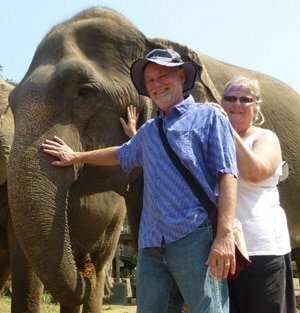 We used our phones in Thailand to keep in contact with our Airbnb hosts that would sometimes give us a ride into town and meet with us later. We also sometimes called them so that they could give directions to the tuk-tuk drivers that couldn’t understand our description of where we were staying. The mobile internet proved invaluable for helping us find our way around using Google Maps and City2Go. Our stay in Costa Rica was for the full three months that is allowed for visitors, so we needed a cell phone plan that we could easily recharge. “e-say”) that provides cell phone service through a private company called Kolbi. You will see the Kolbi logo, a green frog, at grocery stores and many other small stores throughout Costa Rica. Wherever you see the logo you can recharge your cell phone by adding money to your account. You only need your Costa Rica cell phone number and a small amount of cash to accomplish this. To get our unlocked iPhones working on the Kolbi system, we went to the ICE office in Atenas. On our first visit, it was quite busy and we were given a number and asked to wait. The room was modern and air conditioned. Locals were there paying phone and electric bills and conducting other business. We waited for a short time for one of three women who were sitting behind a counter. The woman who helped us spoke a bit of English; enough for us to explain our needs. They had SIM cards there, both the normal size and the mini-SIMS. The cost for each phone was 2000 colones (about USD$4). The woman installed the SIM cards for us and activated them…but not on our first visit. On our first visit to ICE, their system was down and after about 15 minutes, we were told that we would have to come back. So, we went to lunch and came back. There was no one waiting when we returned and we were able to get our phones up and working in 10 minutes. The 2000 colones (US$4.00) that we paid entitled us to a certain amount of call time and/or data time. To turn on data, we would text one of a few commands to the special (and free) phone number 8888. Depending on which text command we sent, we could turn on data for 24 hours, at 1 Mbps for 100 colones (US$0.20) and get 60 minutes, 24 hours at 2 Mbps for 250 colones (US$0.50) to receive 150 minutes, or 24 hours at 2 Mbps for 500 (US$1.00) colones for 350 minutes. We could also get 30 days of data at 2 Mbps for 9000 colones (US$18.00). The charges were deducted from the amount in phone account. We actually found it quite convenient to turn on the data plan when we were traveling and wanted to look at maps, browse, or use Skype. Then we simply turn it off with another text command when we were using the WiFi in our lodging. The per minute call cost was very low, making Costa Rica cell phone service the lowest we have ever paid. For our uses, it only cost us about US8.00/month for our two phones. Most of that is for map apps and browsing the internet when we are out and about. It was also really easy to add money to the account (recharge) at any grocery store. the mall, small stores in the mall and on the street, and larger stores just about everywhere. You can hardly walk a block in Playa Del Carmen, before seeing one. The Telcel prepaid plan is the Amigo Plan, and it is available in Paquetes (packages). We were easily able to purchase a SIM card for our unlocked iPhones for MXN$149 which at the current rate of about 17 pesos per US dollar, is about USD$9.00. It comes with a fair amount of credit too. 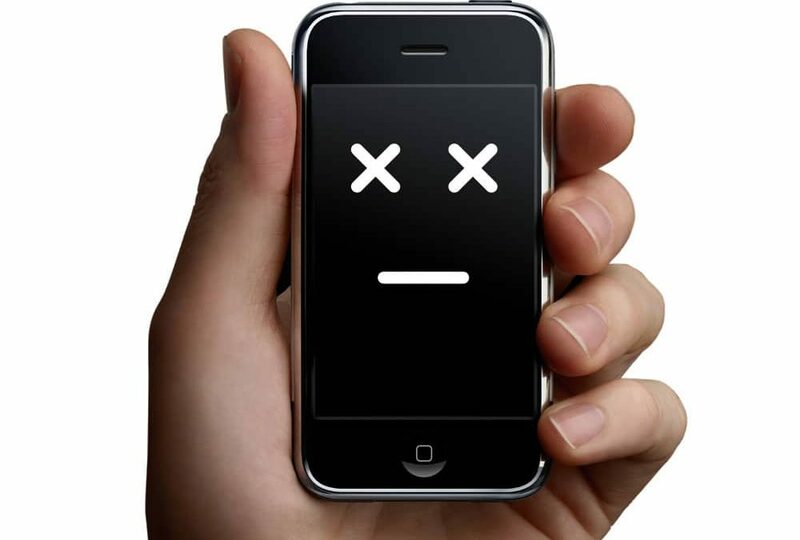 The amount of credit on your cell phone can be used for calls, text messages and data. It is easy to add credit to your phone. You can do it at almost any convenience store or grocery store. All you need is your Mexican phone number (which came with your SIM card). We opted for the Paquete 200, which at USD$11.00 gives us plenty of time for occasional phone calls and messages and data to use map applications. From what we can determine, if we run out of time on our plan, we either have to purchase a new SIM card (which means a new phone number), or wait until the 30 days ends. This could be a problem if we used lots of data, since the only calls we make are to local attractions that speak English, but in our experience, we never get near the limit for our purposes. If you own an unlocked cell phone, it is quite inexpensive and easy to purchase plans and credit in the Yucatan, Mexico. Click here to read about Jon and Terry’s experience using Mexican SIM cards for phone calls and data in the Riviera Nayarit area of Mexico and their excellent tips on getting the best service. I was simply dumbfounded and incredulouso when I read your blog. I divide my time between Nanaimo, British Columbia and Mexico and I take and use my Canadian Samsuno Galaxy smartphone in Mexico. No hay problema. Step One: Forget the plans and pay outright for your phone. Step Two: Choose a Pay as You Go Plan. Step Three: Before you leave the country UNLOCK your phone. I paid forty bucks as my local mall at a cell phone accessory store. Any geek can do this. Step Four: When you get to foreign country pop out your old SIM card and get a new one. Get another Pay as You Go plan for duration. In San Miguel de Allende, Mexico I got a new SIM card, a local number and three months of calling and unlimited texts for three months for only 500 pesos. Less than fifty dollars CAD. 415 126 1079 is my local number until the end of April then I’ll return to Canada check out the best deals and get a new SI card and Pay as you Go Plan. Thanks for your comment Joana. Yes it can be easy to take an unlocked phone to foreign countries, and get a SIM card and a prepaid plan once you know your options. Not every unlocked phone will work though as it is has to work with the foreign provider technology, usually GSM. Hi Sue. It sounds like you’ve got it figured out! In Bali, we needed a translator, since the shop person spoke no English (fortunately, our Airbnb host provided one). It is so interesting how inexpensive cell phone services are in so many of the countries we have visited. Another excellent article. Lots of research went into this. Thanks guys. Hi Laurie! We use Google Fi and have had service on 5 continents (it did get a bit dodgy in the South Pacific – Bora Bora, American Samoa and Tahiti where we didn’t have service. Hi Toni. Thanks for your comment. We have been following Google Fi since the introduction and are happy to hear that it is working well for you. Please let us know which 5 continents it worked well for. 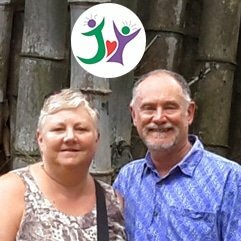 Our 2018 travel plans include Guatemala, Mexico and Honduras. I would be interested to know what the coverage is like in those areas. Have fun! Thanks for your comment Tracey. I will keep updating this post as we travel to more countries and solve the challenge of getting our cell phones working wherever we roam.